Australia is lucky to have a strong indigenous creative culture, developed over centuries and in recent decades gracing the walls of some of the world’s most prestigious galleries. 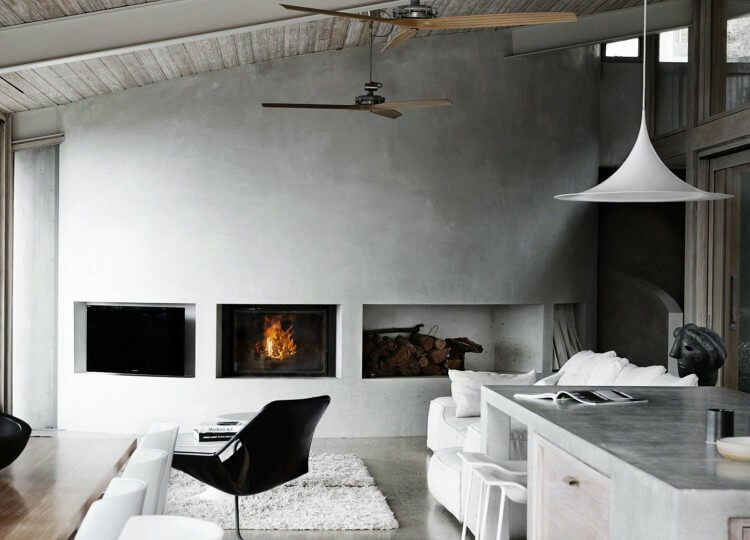 While legendary artists like Emily Kngwarreye and Yannima Tommy Watson are well-known in the Australian contemporary art community, a new generation of artists, designers and makers are sharing their heritage in new and beautiful ways. 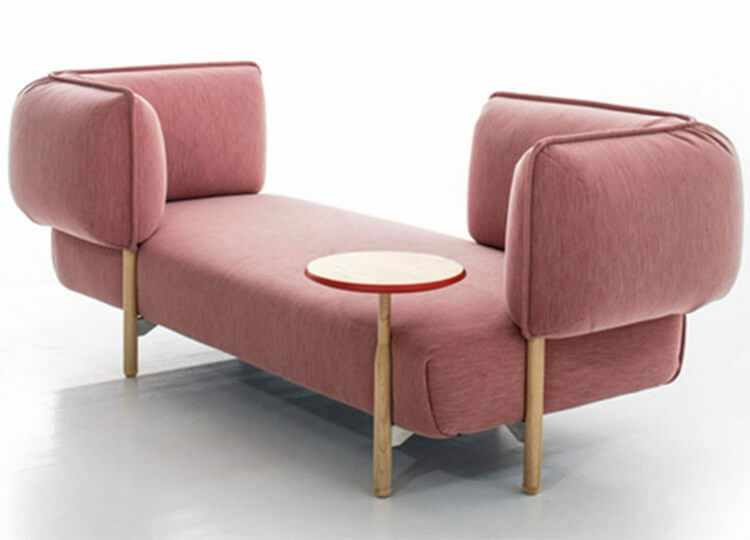 Here’s some works catching our eye at the moment. 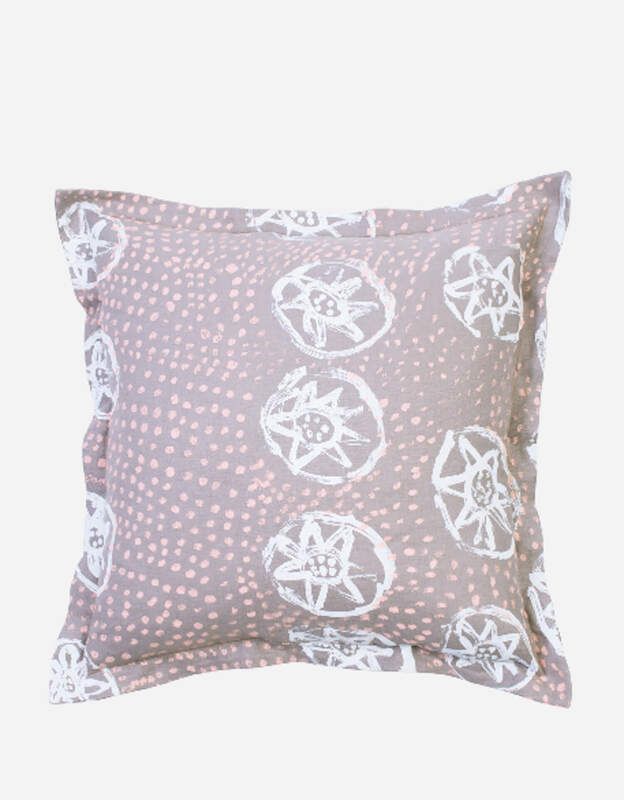 Designed by North Home, this 100% linen pillow is hand screen-printed by local craftswoman. The print is inspired by the Rokini vine, native to Melville island with bright purple flowers. Titled ‘Blue Mountain I’, this piece from painter Jedda Daisy Culley’s Sunset Harmony collection continues her abstract treatment of the Australian landscape to create a stunning visual. 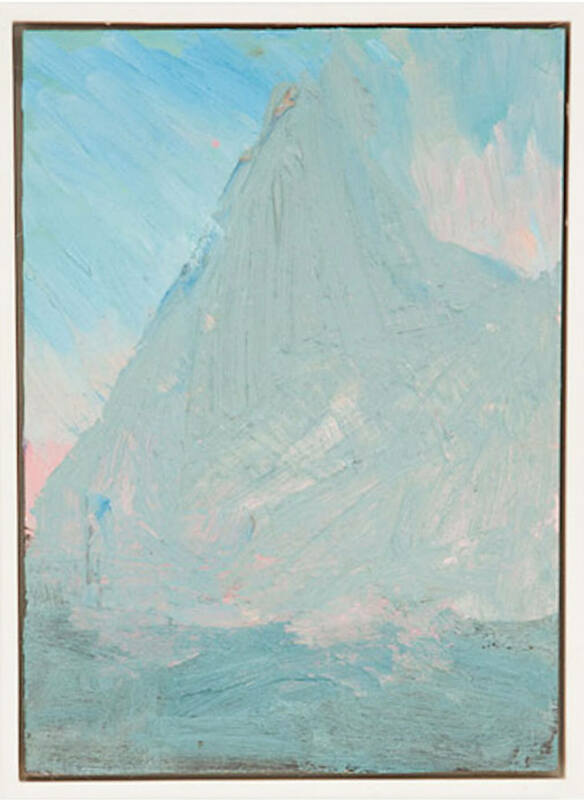 The hazy pastel blues evoke a feeling of instant calm. 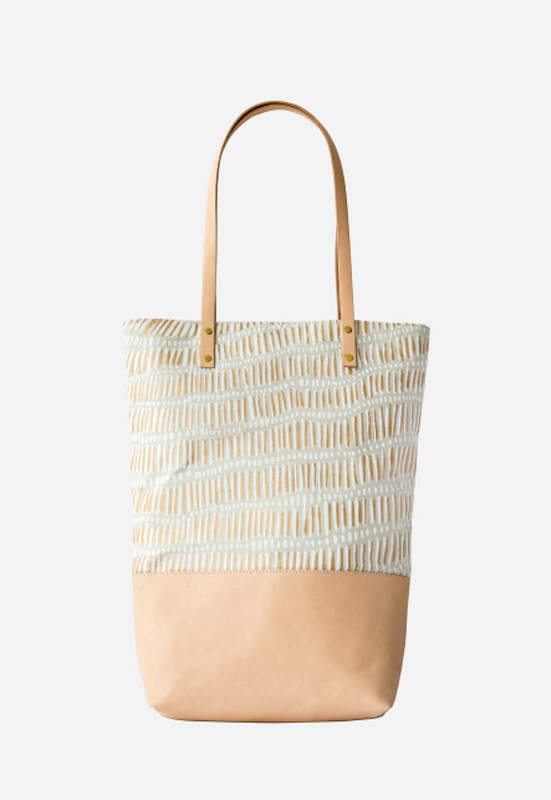 As well as their home collection, North Home have also developed a refined range of lifestyle pieces, like this ‘Fish Net’ printed tote bag. 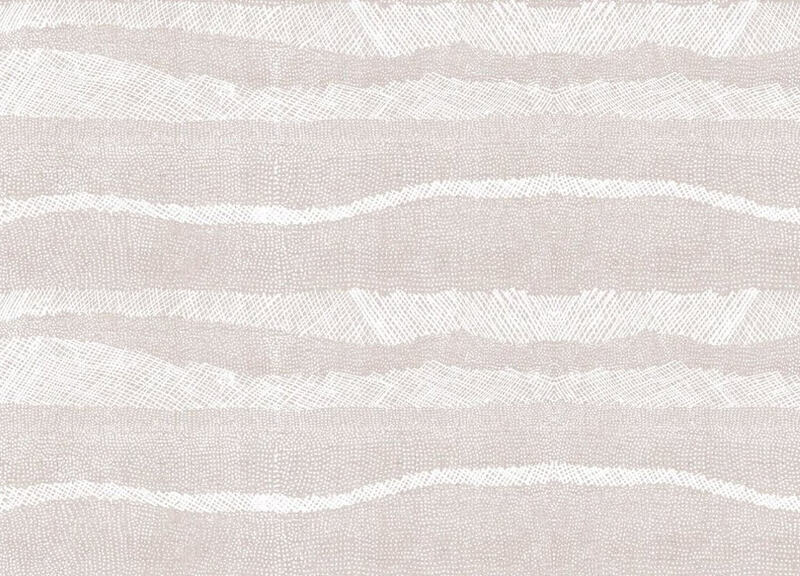 Hand screenprinted on 100% natural linen outer with a leather panel and leather shoulder straps, the print artwork by artist Kieren Karritpul depicts a traditional fish net pattern. Jilamara is a Tiwi word that refers to the ochre patterning traditionally painted on the bodies of dancers and on carved poles during Pukumani ceremonies. 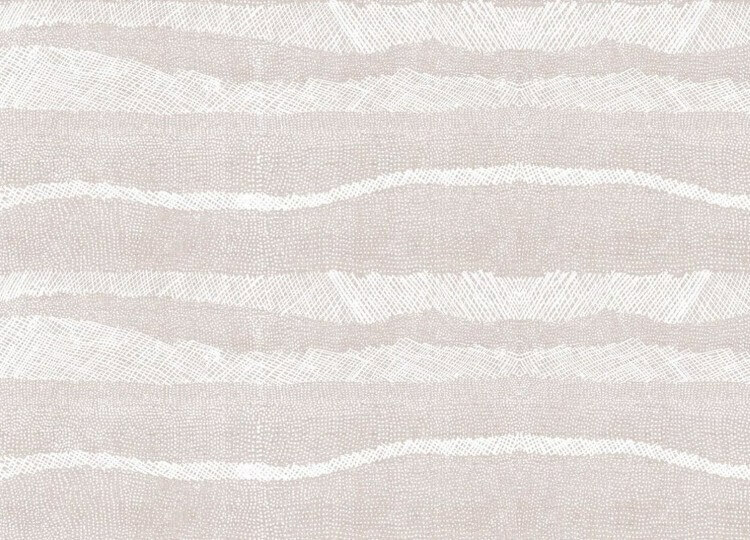 This calming wallpaper design from Willie Weston uses Jean Baptiste Apuatimi’s design through an agreement with Tiwi Design, an Indigenous-owned and operated art centre in the Tiwi Islands, NT. 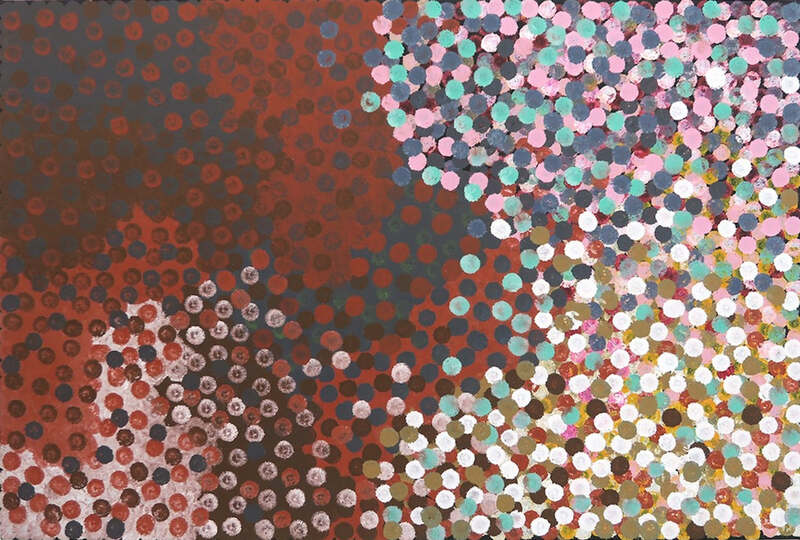 Influenced by a traditional dot painting approach, Sydney artist Otis Hope Carey produces works that speak to his heritage as well as a clear contemporary identity. This piece, titled ‘Ngaalgan. Yaamandi Nganyundi Baabany Nyaagiling – Red Rock’ was inspired by the place his nan was born. Exhibiting at China Heights Gallery. 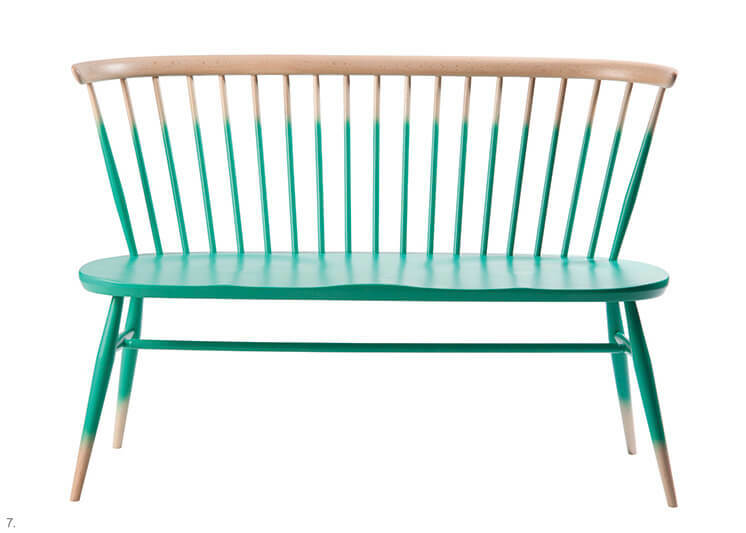 Sydney retailer Koskela are notable for their numerous collaborations with local indigenous collectives and creatives, but this handmade shade produced in collaboration with Yuta Badayala has to be one of their best-loved outputs. 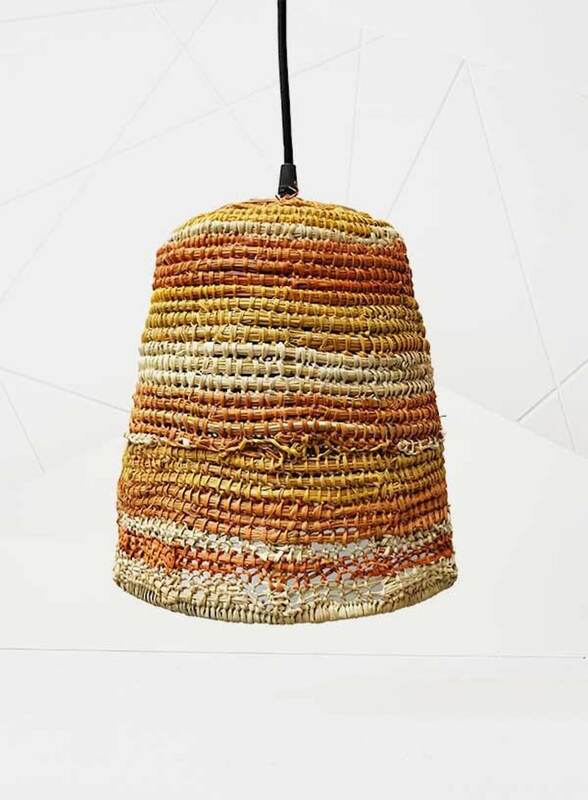 Created by traditional Yolngu weavers from Elcho Island Arts in Arnhem Land, the rich textural aesthetic of the shade is complimented by the simple pendant frame. 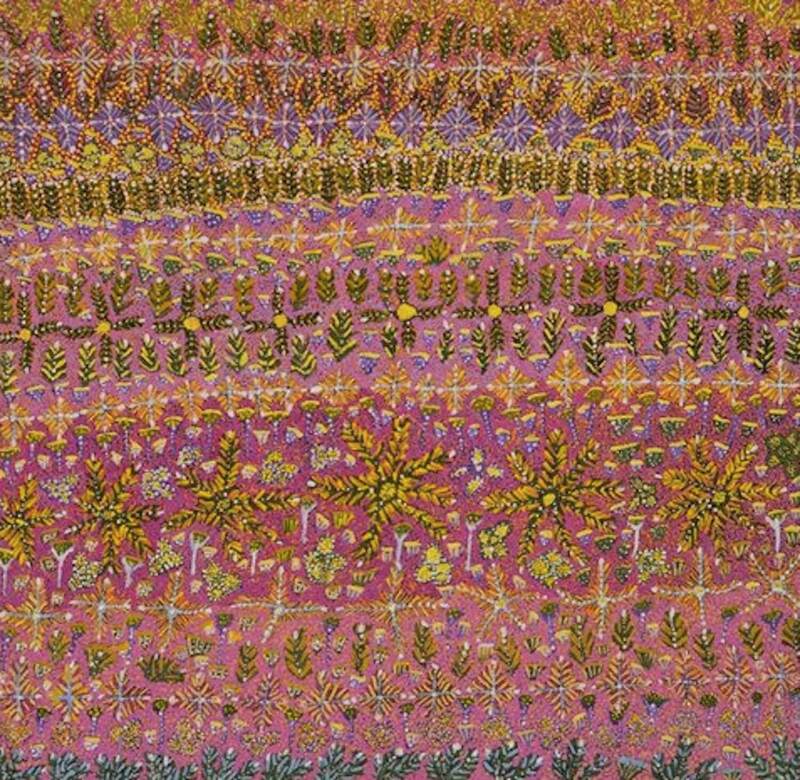 This framed painting from award-winning indigenous artist Margaret Kemarre Ross exuberantly demonstrates her deep connection to her country. Bold patterns and a rich colour palette make this piece both a striking image of wild flowers and a figurative image of the land.